It seems that every winter season lately brings unprecedented amounts of snow and record-setting low temperatures, and this season has proven to be no different. February isn’t even over yet, and already, Boston has seen more snowfall this month than any other in recorded history (59.1 inches thus far). 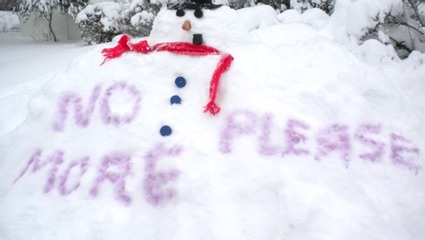 Temperatures of negative 10 have been recorded in many parts of Massachusetts. And when weather gets that cold, more than just our comfort is affected; heavy snowfall and below-freezing temperatures can result in serious problems for your home, including frozen pipes, collapsed roofs, and more. It’s common knowledge that pipes can freeze when temperatures get too low. The cause of frozen pipes, on the other hand, is less well-known; according to The Weather Channel, pipe ruptures are not a result of the extreme expansion of the water within a pipe. Rather, when the water freezes, and ice completely blocks the flow within the pipe, the increase in pressure following the blockage causes the pipe to burst. So although the ice needs to freeze for this to occur, your pipe’s burst is directly related to the increase in pressure. And when your pipes have a small diameter, or are placed against exterior walls, this blockage is much more likely to occur. If you go to turn on your faucet, and just a tiny trickle of water (or nothing at all) comes out, your pipes are probably frozen. And if this is the case, you’re probably less concerned about why they froze than you are about how to unfreeze them. So, we’ll get right to it. Keep the faucet turned on. As your pipe thaws, and the frozen area melts, the water will need someplace to go. This also helps to thaw the rest of the pipe. Check all other faucets to determine if they, too, have frozen. If one pipe freezes, others are likely to have frozen as well. 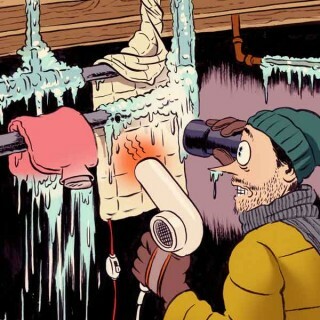 Frozen pipes can burst and leak. Just because you’ve thawed your pipes, you’re not necessarily in the clear. It’s only February, and depending on where you live, you’re going to continue having cold weather and snow for a while longer. 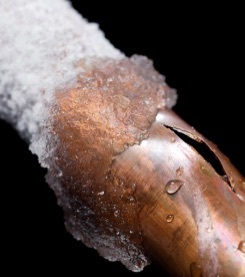 So how can you prevent your pipes from freezing again this season? Water supply lines are often housed in your garage, which isn’t particularly insulated. Keeping your garage door closed will keep your garage warmer. Open kitchen and bathroom cabinet doors. Open cabinets will circulate warm air around the plumbing in these areas. Turn kitchen and bathroom faucets to a drip. Even if you’re not home, keeping your faucets turned on to a drip level can prevent pipes from freezing all season long, and won’t cause a hugely noticeable increase in your water bill. If going out of town, leave the heat on. Set your thermostat to 55ºF or higher. Ready.gov provides a list of many things you can do before the onset of cold weather to prevent your pipes from freezing. While I understand that it’s too late to do these things now, being more prepared next fall can prevent this dilemma from recurring next year. Drain water from swimming pools and sprinkler supply lines. Don’t put anti-freeze into these lines! It’s dangerous to humans, animals, and the environment. Un-attach, drain, and store outdoor hoses. Close the inside valves supplying outdoor hose bibs. Open the outside hose bibs to allow water to drain out, and keep them open so that any remaining water can safely expand without causing rupture. 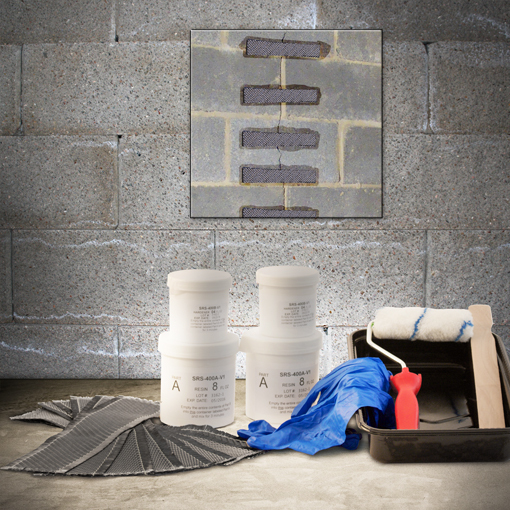 StrongHold’s Leaky Pipe Repair Kit can proactively prevent pipe bursts! 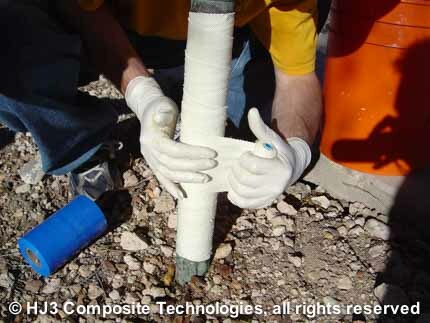 Our proven glass fiber wrap can resist incredibly high pressures, preventing your pipe from bursting next season (or ever). Frozen pipes can cause a lot of damage to your home, wallet, and emotional state. But even the meanest winter armies can be conquered with the right knowledge and materials. Take back your home, and don’t worry, summer’s right around the corner! Don’t Let Wet Seasons Water-log Your Foundation!